Officer applications for the American Go Honor Society are due by September 19. The organization runs multiple events every year including the School Team Tournament and the Young Lions, and is run entirely by high school students. The open positions include Vice President, Promotion Head, Webmaster, Tournament Organizer, Secretary, and Treasurer. To apply, download the application form on the AGHS’s website and send it in to AGHSpresident@gmail.com by September 19. “At long last, Cotsen Open 2015 registration is now open!” reports Tournament Organizer Samantha Davis. The tournament is set for October 24-25 at the LA Center Studios (1201 W. 5th Street, Ste. T-100) in Los Angeles, California. “There are many great perks for preregistering!” Davis says, including free food truck lunch on both days, and a full refund of the $20 entry fee if you play in all five rounds. “And everyone gets free massages during their games (if they want),” Davis adds. As usual, there will also be a Sunday morning game between Yilun Yang 7p and another top pro, as well as thousands of dollars in prizes. 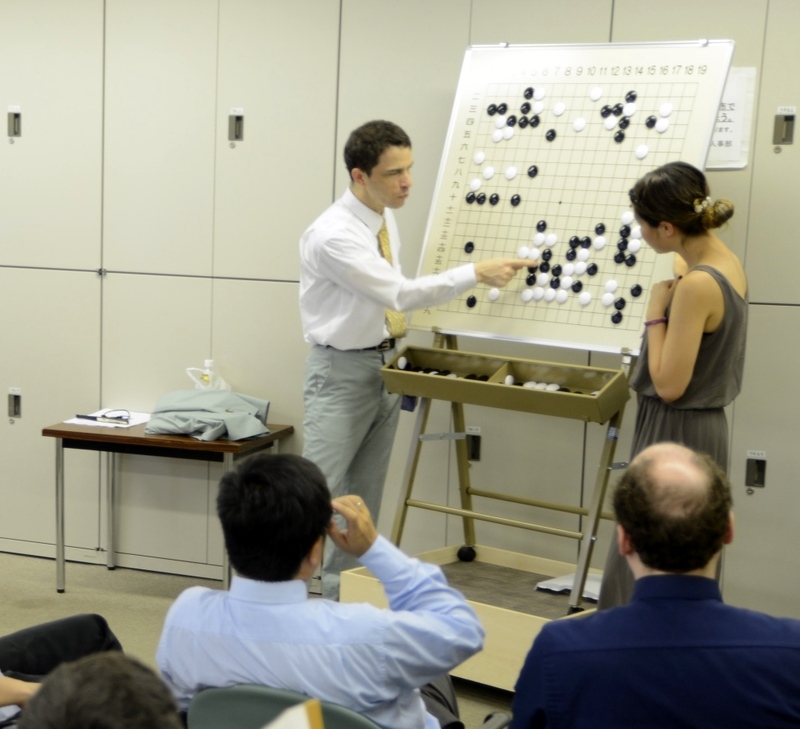 Yamashita Keigo wins S League: Three important games in the 40th Kisei S League were played recently. The results were: (August 27) Murakawa Daisuke Oza (B) beat Kobayashi Satoru 9P by resig. (September 3) Yamashita Keigo 9P (W) beat Yoda Norimoto 9P by 2.5 points; Murakawa (W) beat Yamashiro Hiroshi 9P by resig. Yamashita (right) finished the league with 4-1, securing first place and a seat in the final play-off to decide the challenger. Since he will start this play-off with a one-win advantage, there’s a good chance we will see the third successive Kisei title match between him and Iyama. Thanks to his win, Murakawa, who ended on 3-2, earned a seat in the knock-out tournament — he goes directly into the semifinal. Yoda finished with the same score, but was ranked fourth to Murakawa’s second, so he drops to third place. Yoda’s loss to Yamashita was probably his most expensive of the year. One game is still to be played in the final round, so we do not know yet who will drop out. The final games in the B Leagues were also played on the 3rd. Awaji Shuzo 9P won the B1 league with a 5-2 score and Yamada Kimio 9P the B2 League, also with 5-2. There will be a play-off between these two to decide the overall B League winner. The winner will join the knock-out tournament at the bottom rung (see the end of the next item). 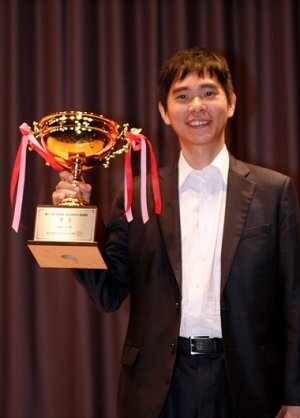 Kyo wins Kisei C League: After four rounds in the 40th Kisei C League, there were only two players with undefeated records; they were Kyo Kagen 3P and Akiyama Jiro 9P. The game between them in the final round, played on August 20, was in effect a play-off to decide the league winner though this league is nominally a Swiss System. The 17-year-old Kyo (not 15, as I wrote in my previous report; just for the record, he will be 18 on September 19) won this game, taking black, by resignation. This earned him a place in the knock-out tournament to decide the challenger and (assuming he doesn’t become the Kisei challenger) promotion to one of the B Leagues next year. Kyo: “The new league system for the Kisei tournament encourages young players. I aim to be the challenger.” Incidentally, Kyo is leading the most-wins list with 32 wins to six losses (next is Yamashita Keigo on 29-19, followed by Ichiriki Ryo on 27-13). Recently, there have been more and more signs that Kyo may be the strongest teenager in Japan. To summarize the knock-out stage of the Kisei tournament: The C League winner, Kyo Kagen, will play the overall B League winner (Awaji or Yamada); the winner then plays the winner of the A League, Kono Rin; the winner of this game then plays the S League number two, Murakawa; the winner then joins the final match with Yamashita to decide the challenger. Yi Sedol repeats in TV Asia Cup: Our previous report took this tournament as far as the first semifinal, in which Park Junghwan 9P (B) of Korea beat his compatriot Lee Donghun 5P by resig. 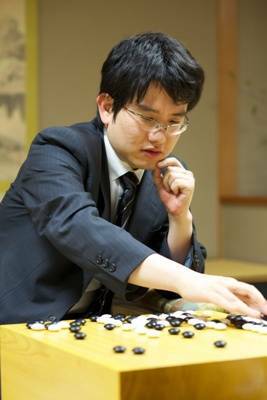 In the second semifinal, played on August 27, Lee Sedol 9P of Korea, made his first appearance; as the previous winner, he was seeded. 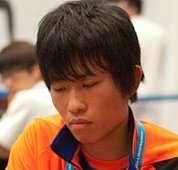 Lee (B) beat Yang Dingxin 3P of China by resig. In the final, Lee (B) beat Park by resig., winning this title for the second year in a row and the fourth time overall. This matches the record of Takemiya Masaki, who won the first four titles. By my count, this is Lee’s 17th international title, not counting his jubango win. Though he is rated the world’s number one, Park has been unable to win this tournament in five appearances. For more on this tournament, click here for Go Game Guru’s report, with more photos and game records. Yuki reaches Tengen final: The second semifinal of the 41st Tengen tournament was held on August 24. 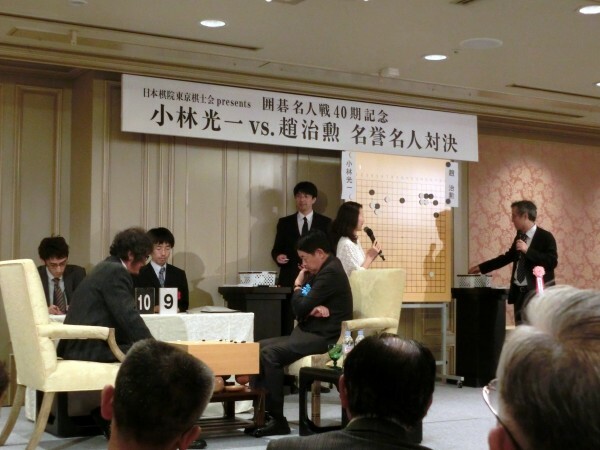 Yuki Satoshi 9P (W) came out ahead in an endgame contest, beating Yamashita Keigo 9P by 1.5 points. He will play Iyama Yuta in the final to decide the challenger to Takao Shinji. 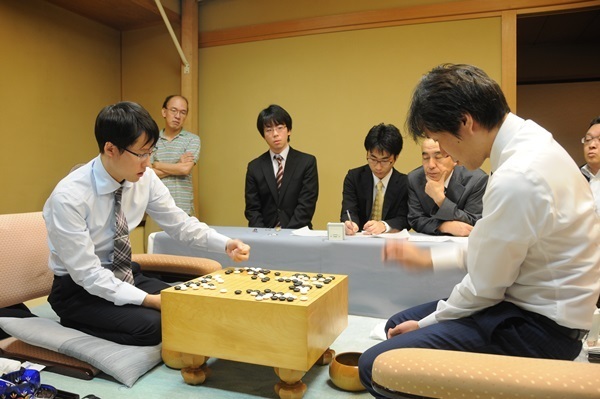 Oza semifinal: The second semifinal of the 63rd Oza tournament was played on August 24. Yo Seiki 7P (W) beat Ko Iso 8P by 2.5 points. He will meet Iyama Yuta in the final, scheduled for September 7. This will be the first game between the two. Whoever wins, the title match will be an all-Kansai affair, as the titleholder is Murakawa Daisuke of the Kansai Ki-in. Xie to challenge for Women’s Honinbo: In the play-off to decide the challenger to Fujisawa Rina for the 34th Women’s Honinbo title, held at the Nihon Ki-in on August 27, Xie Yimin (left), Women’s Meijin and Kisei, (W) defeated Chinen Kaori 4P by resig. Xie will challenge for the title she lost to Mukai Chiaki two years ago (Fujisawa took it from Mukai last year). Xie has an even record, 2-2, against Fujisawa in official games, but this will be their first series. The best-of-five starts on October 8. Agon Kiriyama semifinal: In the first semifinal of the 22nd Agon Kiriyama Cup, Iyama Yuta (B) beat Son Makoto 3P by 7.5 points, as already reported. The second semifinal was held on August 31 between Yo Seiki 7P and Kyo Kagen 3P. It was held on Yo’s home ground of the Kansai Ki-in, with Kyo traveling from Tokyo. Apparently these two are good friends, often putting each other up when they travel for games, but on the morning of this game there was no chitchat. Kyo (W) won the game by resignation. The final will be played on October 10. This is the third tournament final that Iyama has qualified for recently. On July 25th, the French team won the final of the Pandanet Go European Championship, just behind the Ukrainian team. The French team was composed by Fan Hui 2p, Thomas DeBarre 6d, Benjamin Drean-Guenaizia 6d and Tanguy le Calve 6d. Click here for more info. 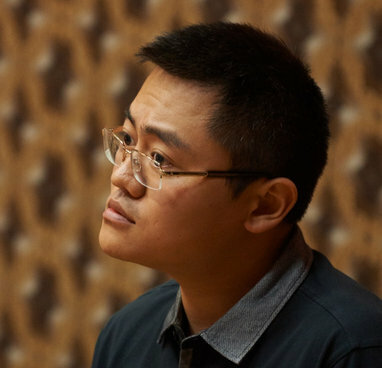 Fan Hui (right) also prevailed at the recent European Go Congress main tournament, making this his third European championship. Click here for all the results, and here for Congress photos. There’s limited space for international competitors at the 2016 Australian Go Congress, set for January 15-19 at Novotel Sydney Parramatta in Sydney, Australia. There’s an early bird rate for those who book and pay prior to November 26. Apart from the go, Sydney and Australia are two of the world’s best tourism destinations, notes organizer Sang-Dae Hahn. The Congress will provide free tours and guides to participants. “I hope that those of you who have always wanted to visit Australia but have never had a good enough excuse will take the opportunity to join us for what will be an outstanding event,” says Sang-Dae Hahn. “I look forward to seeing you in Sydney! For registration info, email ozgocongress@gmail.com. Click here to see photos and more from the 2015 Australian Go Congress.